Mo’Hits crew broke up in 2012, this broke the hearts of many fans. During Davido‘s 30 Billion Concert in December, 2017, the desire of a reunion was reawakened, when Don Jazzy, Dbanj, Dr Sid, Wande Coal, Ikechukwu, D'Prince and Kayswitch rocked the stage. 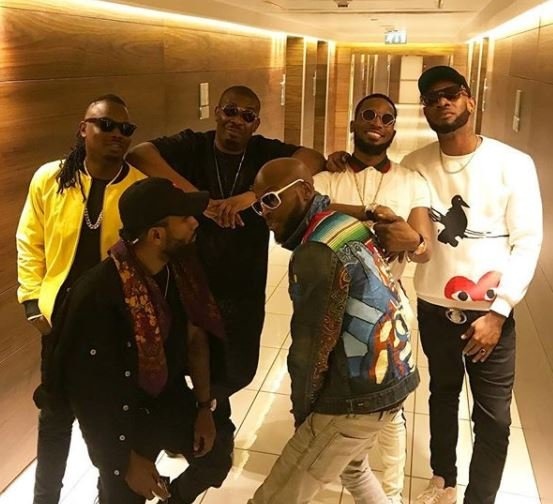 Both D’Banj and Don Jazzy on their Instagram on Monday shared a video announcing the Mo’Hits Reunion Tour. The exact dates or venues or musicians performing have not been stated. We have something musically epic to look forward to this year. @iambangalee How many states/countries should we give them? ??? ?